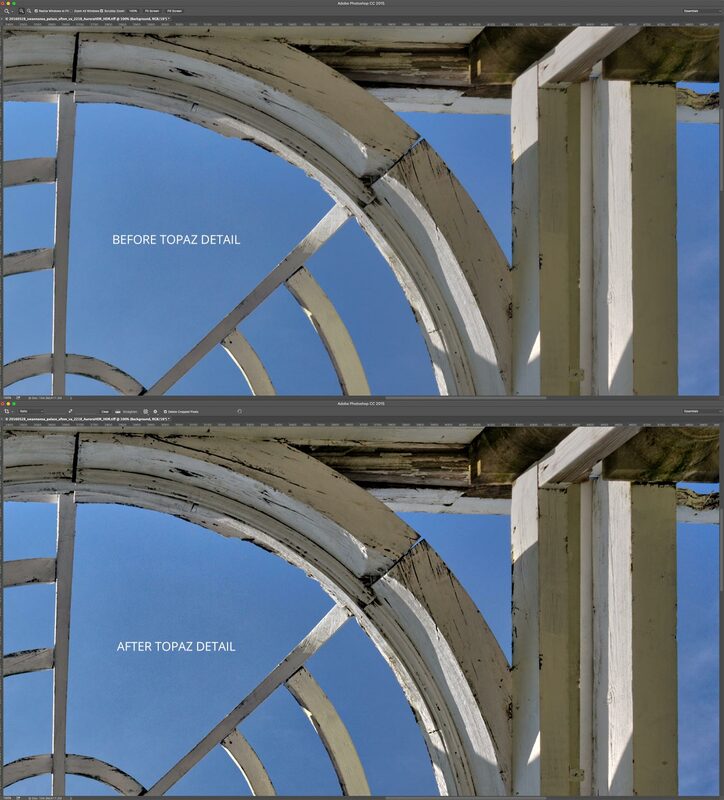 What is the difference between Topaz Clarity and Topaz Detail? I’ve asked myself this question many times. To get the best results for my photo, should I use Topaz Clarity or Detail…or both? 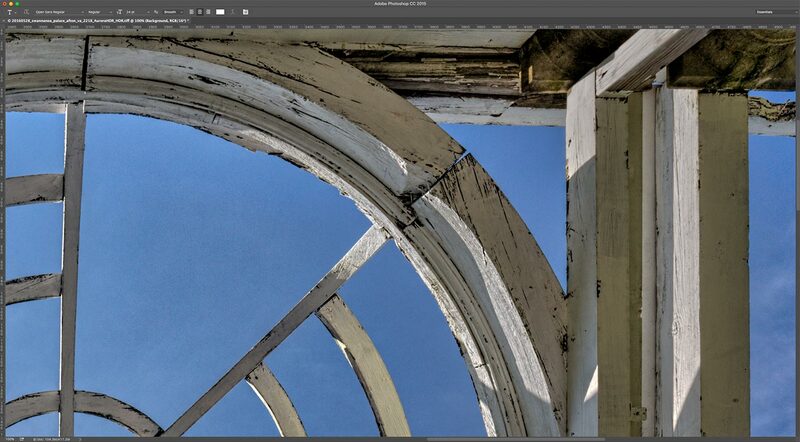 Simply said – Topaz Clarity works with contrast and Topaz Detail is an output sharpener. The simple answer may leave you scratching your head. I know it did for me. What exactly do the terms clarity, contrast, and sharpening mean and how do they apply to Topaz’s software? 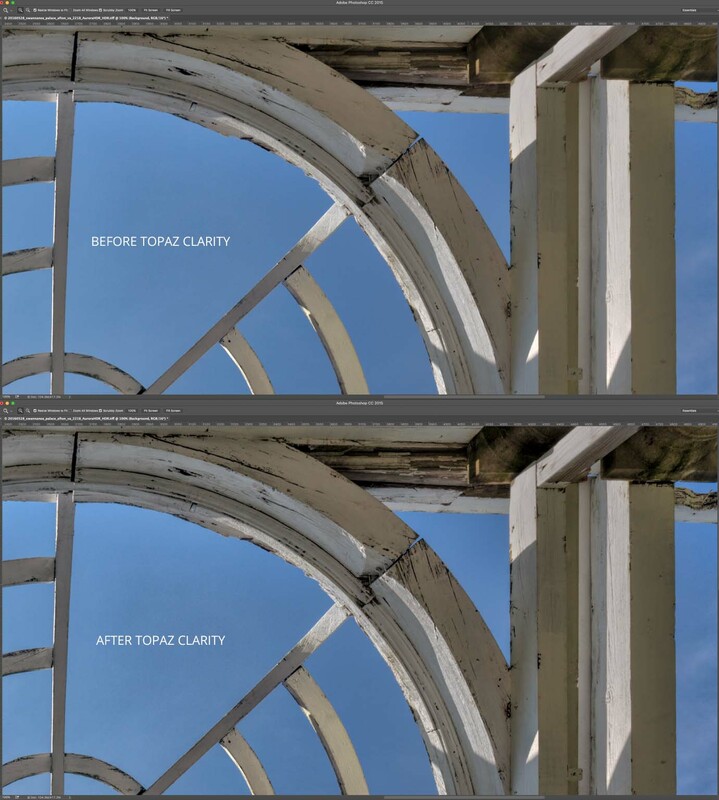 Topaz Clarity intelligently enhances contrast and clarity using a proprietary technology which eliminates the common problem of artifacts and halos. With Clarity, you can quickly manipulate your micro, midrange and overall contrast without halos or noise, all while maintaining a natural feeling and tonality in your image. 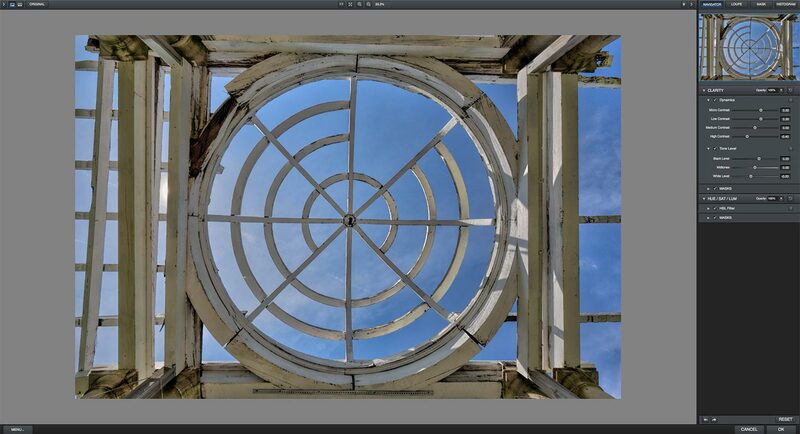 There is also an HSL tool for Hue, Saturation and Luminosity adjustments. The technology behind this program is different in that you can push the sliders over more without receiving halos or artifacts (just don’t push them too far!). There is also a masking feature which is more advanced than the masking features found in Detail. [Topaz Detail] uses a unique size based technology to separate your images into multiple detail levels, then individually enhances a particular detail size. This program is best used for Creative and Output Sharpening. Topaz Detail affects small, medium and large amounts of detail in the overall, shadow and highlight areas of the image. There is also a tone section that works on exposure, whites, blacks, contrast, highlights and shadows, along with color adjustments (Cyan-Red, Magenta-Green, Yellow-Blue), and the ability to add grain. I was until I did a bit of experimenting with both plug-ins – separately and in conjunction with each other. That is when you can really SEE the difference. 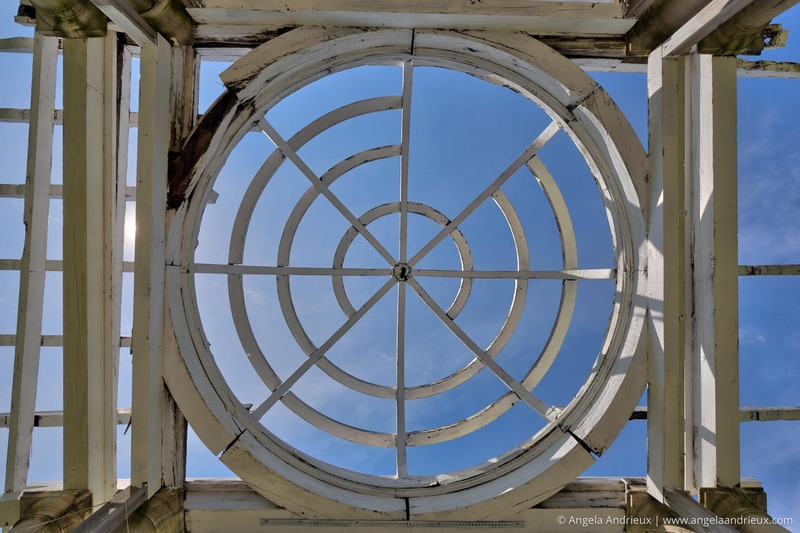 This photograph was captured at the amazing Swannanoa Palace. I shot a 3-exposure handheld bracket with my Canon 6D and 16-35 f/4 L lens whilst laying on the ground, looking up at the sky. I did basic adjustments to the three exposures in Lightroom, and then tone mapped my HDR in Aurora HDR. Learn more about that process here. Next, I headed into Photoshop and duplicated my background layer twice (one for Clarity & one for Detail) so I could easily compare the results. In Topaz Clarity I often start by clicking through the presets until I find one that suits my vision (or comes close). If necessary, I’ll adjust the sliders on the right to fine tune the effect. For this photograph, I chose the ‘Landscape Pop I’ preset (in the Landscape category). I liked the preset as-is, clicked OK and returned to Photoshop. As you can see from the before/after comparison below, the original image looks a bit flat while the version with Topaz Clarity added contrast, enhanced detail, and overall gave the photograph more depth. My process in Topaz Detail is similar to how I navigate Clarity. I click through the presets to find the one that most closely fits my vision, and then fine tune it if necessary. For this image I chose the ‘Overall Detail Medium I’ preset from the Creative Detail Preset Collection. I liked the result so I clicked OK to return to Photoshop. As you can see from the before/after comparison below, Topaz Detail gave the edges a more defined look. There is a bit of added contrast from the edge definition, but without adding the depth that Topaz Clarity did. The best of both worlds – depth and edge sharpening! To achieve this result I used the same presets as indicated above in both Clarity and Detail. Scroll back up to the top for a moment and take a look at our starting image. The change is subtle but significant! The final photograph has quite a bit more depth (some of which was lost in the HDR tone mapping, which tends to flatten out shadows and highlights), and added crispness to the edges – an important touch for a photograph like this with very defined lines. Conclusion: Topaz Clarity or Detail? What did I learn with this experiment? 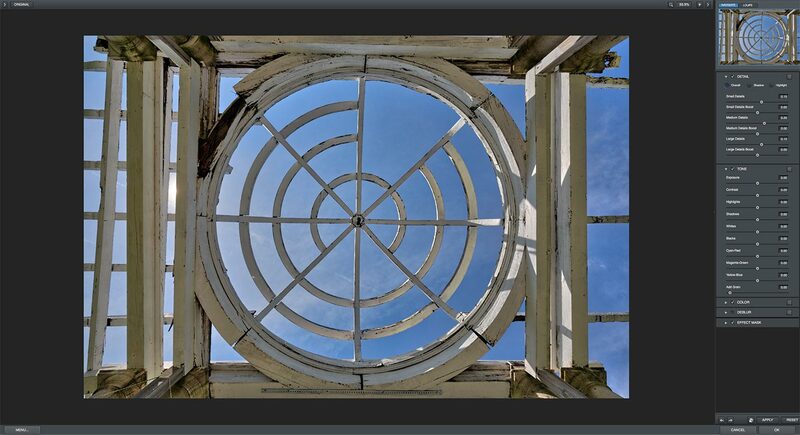 Topaz Clarity is amazing for adding depth and dimension to a photograph. Topaz Detail rocks at emphasizing defined edges. Why do you need both plug-ins? As you can see from the examples above, both Clarity and Detail fill different roles. The untrained eye might not notice a huge difference on a small web-sized photograph, but when zoomed in to 100% the differences become clear. Both enhancements add important, unique finishing touches to any photograph. If you haven’t tried Topaz plug-ins, you can download the full suite FREE for 30 days! All Topaz plug-ins are available individually, or as a bundle (at significant savings). Either way, use my coupon code “angandrieux” and save 15% on your purchase from Topaz Labs!